 Brotherhood Charters is a well maintained, clean, and safe 34-foot Silverton. Brotherhood Charters has spacious seating for 6 people to fish comfortably. We clean all the fish and bag them up for you before you leave! Brotherhood Charters will put you on some of the biggest game fish out there. You can find yourself reeling in Coho, Salmon, Chinook, “King” Salmon, Brown Trout, Rainbow Trout, or Lake Trout. Chinook Salmon Fishing: These fish are the heart of the charter. Some of the best salmon fishing can be found on our region of Lake Michigan. These fish will take long runs and give you a battle you will not forget. Come prepared for a workout. Chinook Salmon can run anywhere from 12-20 lbs. and sometimes can exceed 30 lbs.! Brown Trout Fishing: Brown Trout can be found at any time of the fishing season in the more shallow parts of the lake. Rainbow Trout Fishing: Rainbow trout are around more during the spring time. They are found in the deeper parts of the lake. Lake Trout Fishing: When you’re reeling in these fish, you may sometimes mistake them for the Chinook Salmon due to their size. They are found in all parts of the lake. Captain Jayme Bertrand has been an experienced angler since 2009. From chasing Brown Trout when the first ice moves out, to chasing some of the biggest Kings and Rainbows in the deep waters of Lake Michigan, Jayme’s goal is for everyone to experience the fishing trip of a lifetime on the Brotherhood.